Your Basal Body Temperature Chart Can Help You Find Hidden Fertility Problems. Here's How. Tracking your basal body temperature (BBT) can be great for predicting ovulation so you and your partner will know the best time to get it on, but that's not the only trick your BBT can do. Basal body temperature charts can also help you identify possible fertility issues. Ideally, your temperatures should be quite low during your follicular phase (the part of your cycle before ovulation, from days 1-14). At Conceivable, we like to see temperatures that range from about 97.2 - 97.4 degrees F.
Heat is both a cause and a symptom of inflammation, which can affect the whole reproductive system. In fact, over-active inflammatory pathways are now thought to contribute directly to many reproductive issues including recurrent miscarriage, intrauterine growth retardation, menstrual dysfunction, complicated labor, and preeclampsia. If you notice that your temperatures run high during the follicular phase, heat may dry out your cervical discharge and can compromise egg quality. While temperatures should be low in the follicular phase, your BBTs actually need to be quite high in the luteal phase. A healthy luteal phase BBT will average upwards of 98 degrees F.
Temperatures need to surge in order to stimulate the corpus luteum (the remnants of the follicle that held the egg) to produce progesterone — the primary hormone that's responsible for preparing your uterine lining for embryo implantation and supporting your growing pregnancy. Nice high temperatures are an indicator that enough progesterone is being to produced to support pregnancy, so keeping an eye on your BBT's in this part of your cycle is extra important. In addition to too-high follicular phase temperatures and too-low luteal phase temperatures, there are a few other general correlations we can make between BBTs and common fertility disorders. Women with elevated follicle-stimulating hormone, poor ovarian reserve, and poor responders for IVF and ovarian stimulation tend to have higher follicular phase temperatures. Women with PCOS (polycystic ovary syndrome) will generally have lower follicular phase temperatures. Women with moderate to severe PMS will have a more saw-toothed pattern chart. Women with recurrent miscarriage and low progesterone will typically have low luteal phase temperatures. Wondering if your BBT's are fertility friendly? By tracking your BBT with a smart fertility system like Conceivable’s, you will be able to narrow in on your specific problem areas. 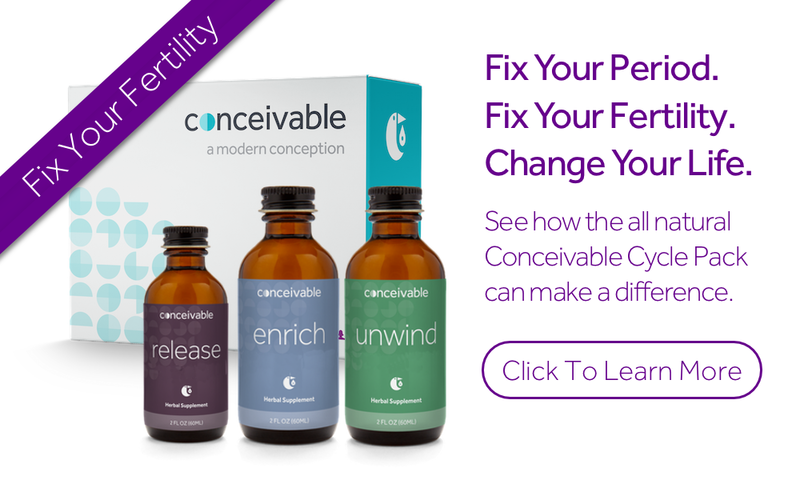 This will result in more targeted, informed, and personalized approach to fertility.